Build four complete Android apps from scratch using Kotlin! The Android Apprentice is our book for complete beginners to Android development. For Complete Beginners to Android! And these aren’t simple apps, either; you’ll build everything from a simple game, to a checklist app, a map-based app, and a podcast manager and player! We’ve also included some bonus sections on handling the Android fragmentation problem, how to keep your app up-to-date, preparing your app for release, testing your app, and publishing it for the world to enjoy! In a fun and easygoing manner! 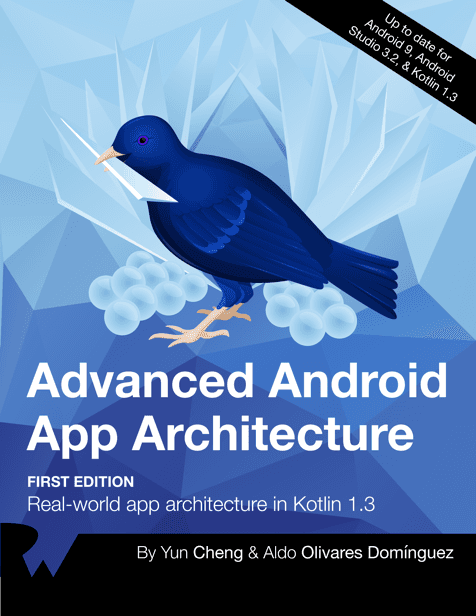 We’ve written this book in Kotlin: the new, modern, first-class language for Android developers. 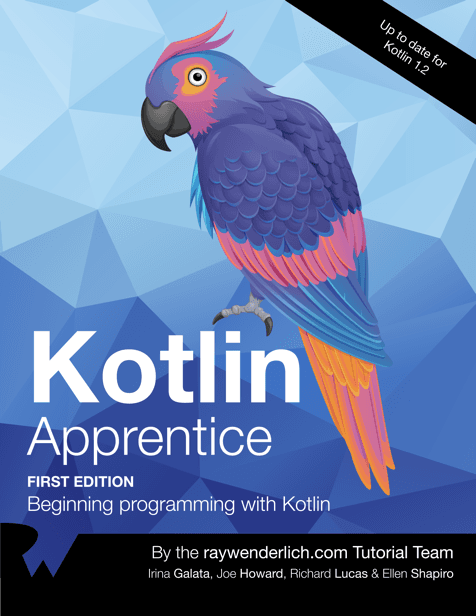 You’ll be at the leading edge of Android developers everywhere as you learn how to develop in the fluid and expressive Kotlin language. 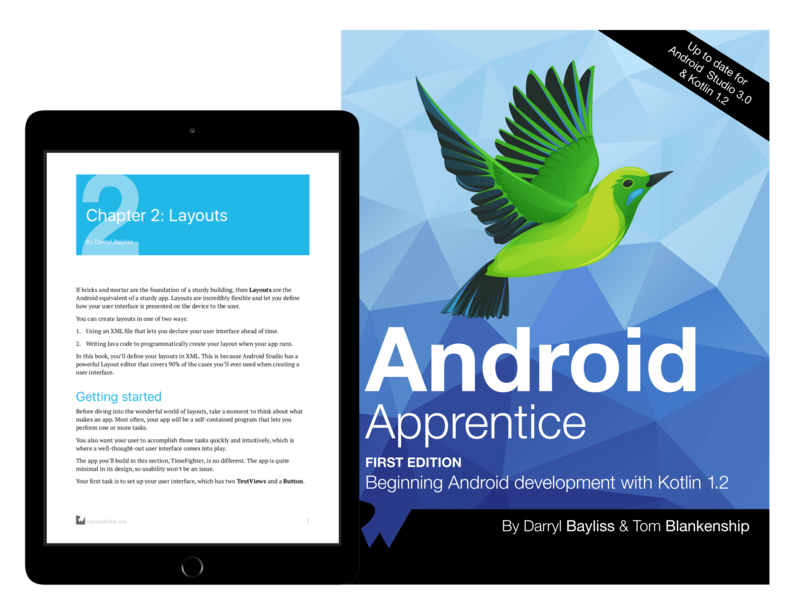 The Android Apprentice is your best companion for learning Android development. With all project source code included with the book, and support forums right on our site, it’s simply the best way to start your Android development career. Welcome to Section II of the book! You’re going to leave behind the last app you made and create a completely new app. This new app is called ListMaker, and will allow you and your users to create handy lists that you can look at later. 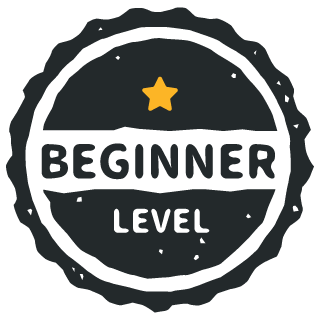 In the previous section, you had a starter project to begin building your app. But in this section, you’re going to create your own project from scratch! You’ll go through the steps and choices given to you to ensure your project is set up right from the very start. In this section, you’ll build PlaceBook, an app that lets you bookmark your favorite places and save some notes about each place. This section gets a bit more advanced. You’re going to build a podcast manager and player app named PodPlay. 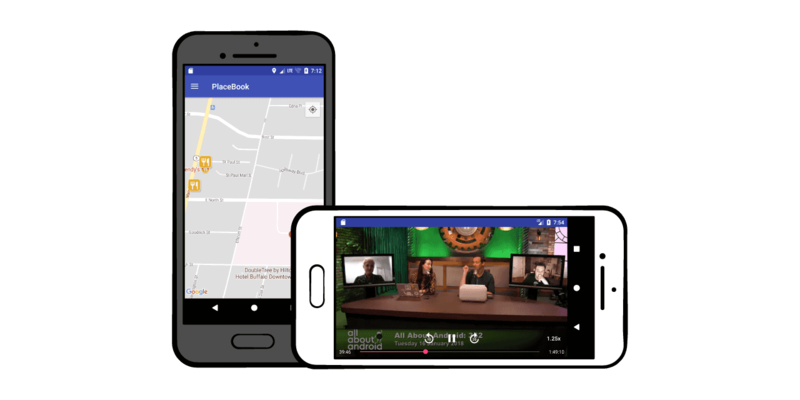 You’ll cover networking, working with REST and XML, and the Android media libraries. This section covers two Android topics that are almost as important as your Android app itself: how to handle the collection of Android versions out there, known as the "fragmentation problem", and how to best keep your app up to date in the face of constant updates to Android. Now that you’ve created your app, you need to get it out to the world! This section has two chapters that teach you how to prepare your app for release, how to test your app, and how to publish your app to your waiting fans!